Google has released Android beta for Android ‘Q’, the next major Android release, ahead of Google I/O 2019 in May, just like the past years. Google said that the next version of Android will bring number of additional privacy and security features for users, as well as enhancements for foldable devices, Dynamic Depth format for photos, new APIs for connectivity, new media codecs and camera capabilities, NNAPI extensions, Vulkan 1.1 support, faster app startup, and more. The first beta doesn’t bring system-wide Dark mode as rumored, but you can enable the hidden Dark Theme using ADB. It is enabled automatically for some, if it’s enabled in Android Pie before updating to Android Q. Battery saver in Android Q turns some system apps dark. 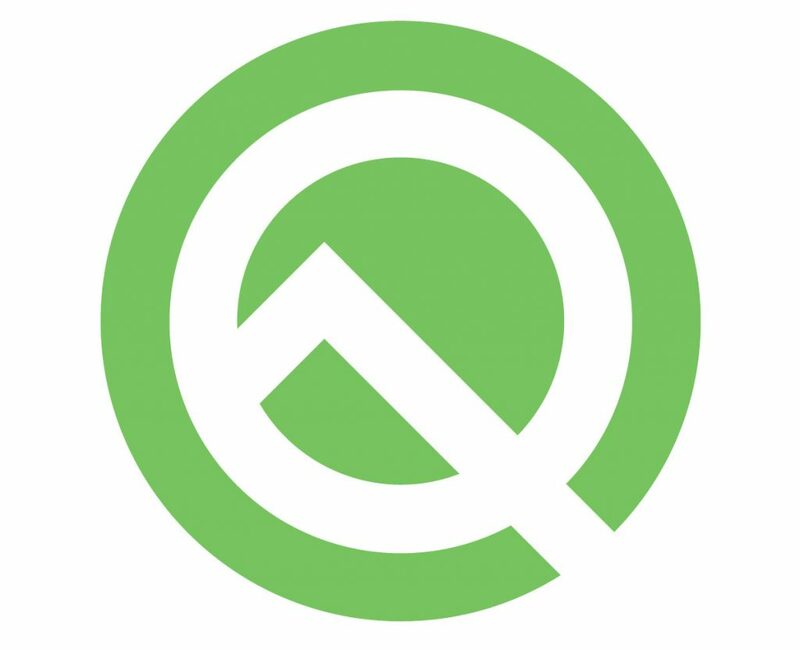 Android Q is now available for Pixel, Pixel XL, Pixel 2, Pixel 2 XL, Pixel 3 and Pixel 3 XL devices on the Android developer website here manually or you can enroll here to get the OTA update to your device. Beta 2 will be available in April, Beta 3 in May, Beta 4 (with final APIs and official SDK) in June and the Beta 5 and 6 in Q3 before the final stable release at the end of Q3 2019. Support for Foldables and innovative new screens: To take advantage of foldable devices and other large-screen devices, Android Q brings changes to onResume and onPause to support multi-resume and notify your app when it has focus. It also changes how the resizeableActivity manifest attribute works, to help devlopers manage how their app is displayed on foldable and large screens. Sharing shortcuts: When a user wants to share content like a photo with someone in another app, the process should be fast. In Android Q this is now quicker and easier with Sharing Shortcuts, which let users jump directly into another app to share content. Developers can publish share targets that launch a specific activity in their apps with content attached, and these are shown to users in the share UI. Because they’re published in advance, the share UI can load instantly when launched. Settings Panels: Android Q introduces Settings Panels, an API which allows apps to show settings to users in the context of their app. This prevents users from needing to go into Settings to change things like NFC or Mobile data in order to use the app. For example, suppose a user opens a web browser while their device is in airplane mode. Prior to Android Q, the app could only display a generic message asking the user to open Settings to restore connectivity. 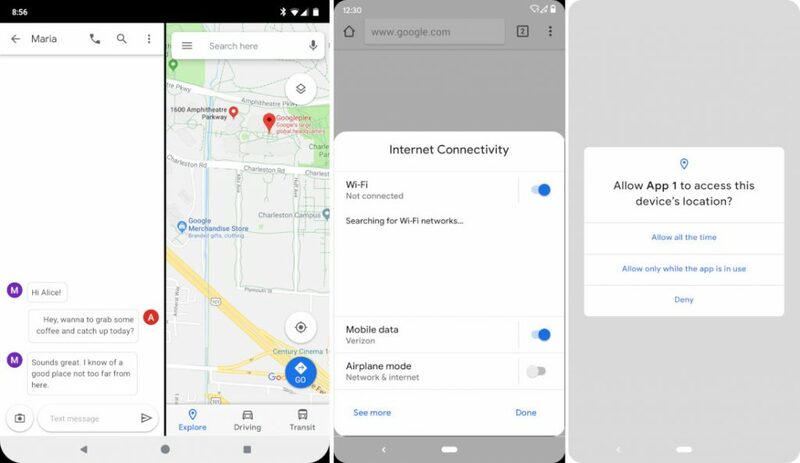 With Android Q, the browser app can display an inline panel showing key connectivity settings such as airplane mode, Wi-Fi (including nearby networks), and mobile data. With this panel, users can restore connectivity without leaving the app. Connectivity permissions, privacy, and security: Most of the APIs for scanning networks already require COARSE location permission, but in Android Q, for Bluetooth, Cellular and Wi-Fi, protection around those APIs are getting better by requiring the FINE location permission instead. If the app only needs to make peer-to-peer connections or suggest networks, check out the improved Wi-Fi APIs below — they simplify connections and do not require location permission. In addition to the randomized MAC addresses that Android Q provides when connected to different Wi-Fi networks, new Wi-Fi standard support, WPA3 and Enhanced Open are added, to improve security for home and work networks as well as open/public networks. Improved peer-to-peer and internet connectivity: Android Q adds support for peer-to-peer connections. This feature enables your app to prompt the user to change the access point that the device is connected to. The peer-to-peer connection is used for non-network-providing purposes, such as bootstrapping configuration for secondary devices like Chromecast and Google Home hardware. The network suggestion APIs let apps surface preferred Wi-Fi networks to the user for internet connectivity. Apps initiate connections indirectly by providing a ranked list of networks and credentials as WifiNetworkSuggestions. The platform will seamlessly connect based on past performance when in range of those networks. Wi-Fi performance mode: Android Q allows you to provide a hint to the underlying modem to minimize latency. Android Q extends the Wi-Fi lock API to effectively support high-performance mode and low-latency mode. Wi-Fi power save is disabled for high-performance and low-latency mode, and further latency optimization may be enabled in low-latency mode, depending on modem support. Low-latency mode is only enabled when the application acquiring the lock is running in the foreground and the screen is on. The low-latency mode is especially helpful for real-time mobile gaming applications. Dynamic Depth Format: Starting in Android Q, cameras can store the depth data for an image in a separate file, using a new schema called Dynamic Depth Format (DDF). Apps can request both the JPG image and its depth metadata, using that information to apply any blur they want in post-processing without modifying the original image data. New audio and video codecs: Android Q introduces support for the open source video codec AV1. This allows media providers to stream high quality video content to Android devices using less bandwidth. In addition, Android Q supports audio encoding using Opus – a codec optimized for speech and music streaming, and HDR10+ for high dynamic range video on devices that support it. Native MIDI API: The Android Native MIDI API (AMidi) gives application developers the ability to send and receive MIDI data with C/C++code, integrating more closely with their C/C++ audio/control logic and minimizing the need for JNI. ANGLE on Vulkan: With the release of Android Q, Android developers and partners have the option to run using ANGLE, a project in the Chrome organization that layers ES on top of Vulkan, instead of using the vendor-provided ES driver. ART performance improvements: Android Q introduces several new improvements to the ART runtime which help apps start faster and consume less memory, without requiring any work from developers.